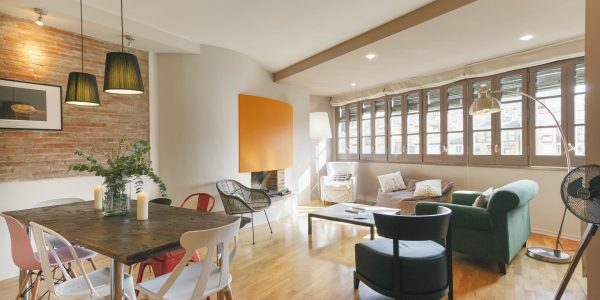 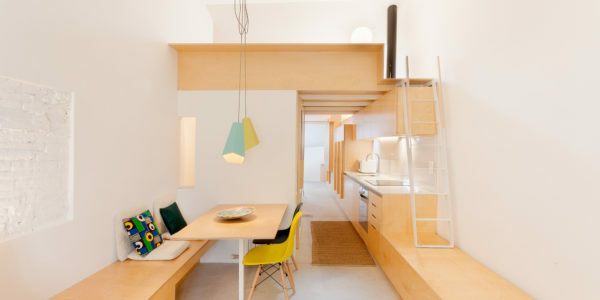 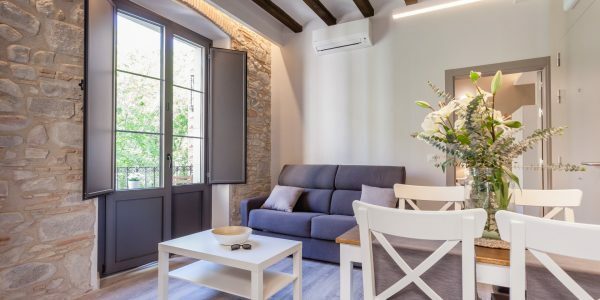 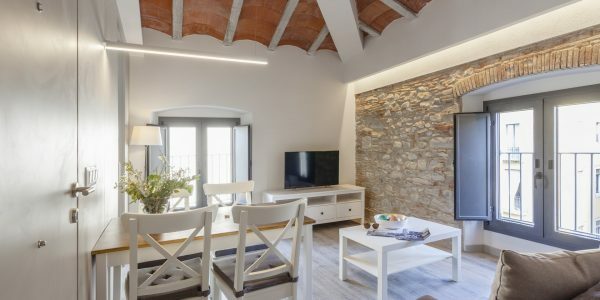 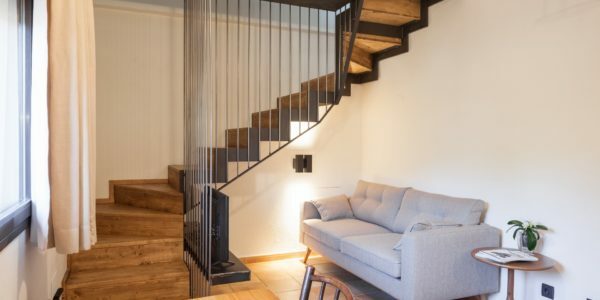 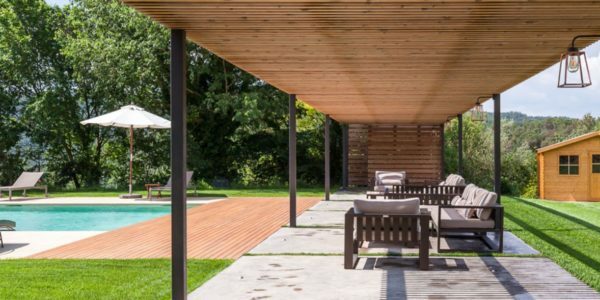 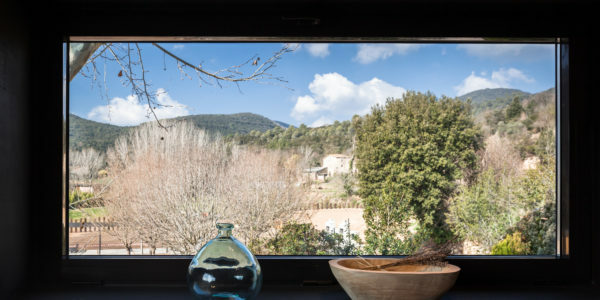 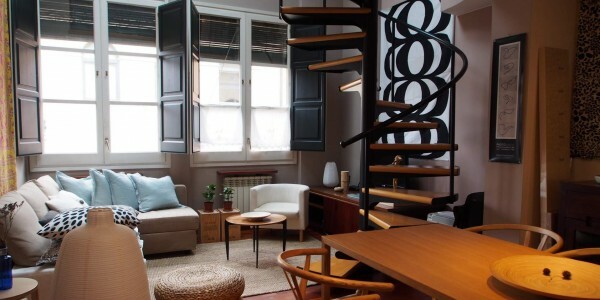 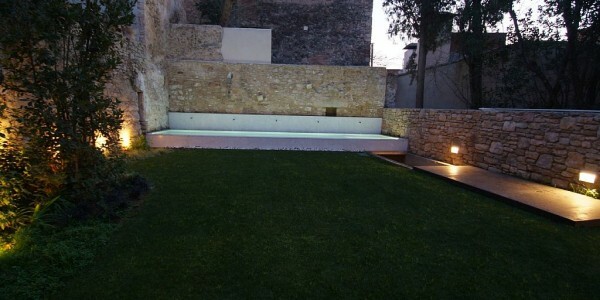 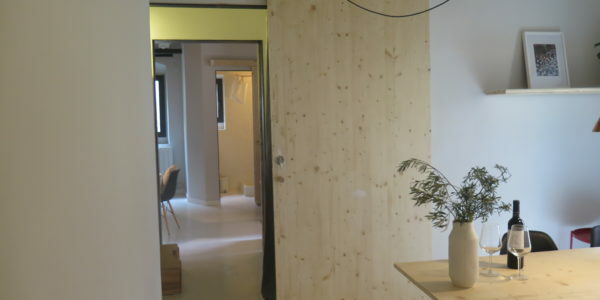 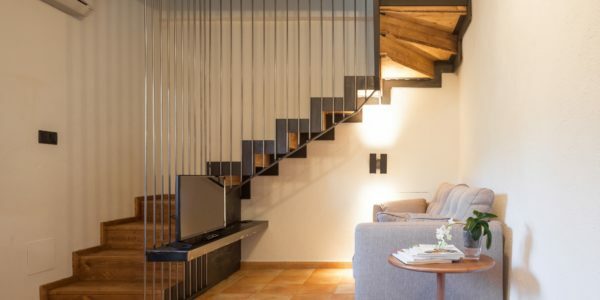 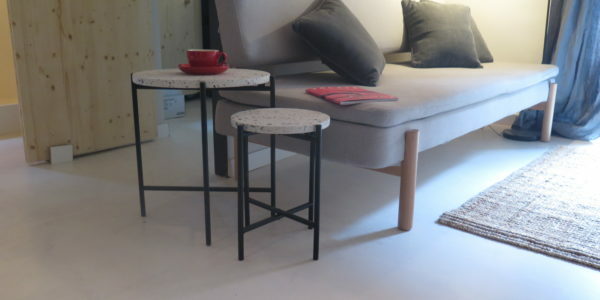 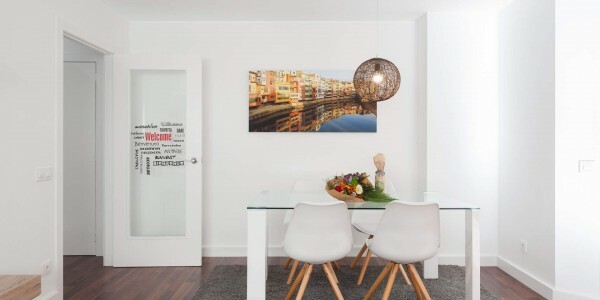 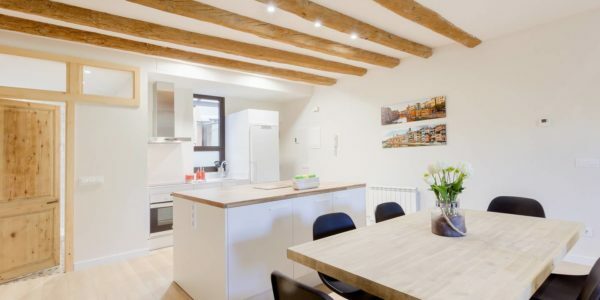 L’Arbre is an apartment measuring 42 m2 for 2 adults and 2 children, restored in 2018. 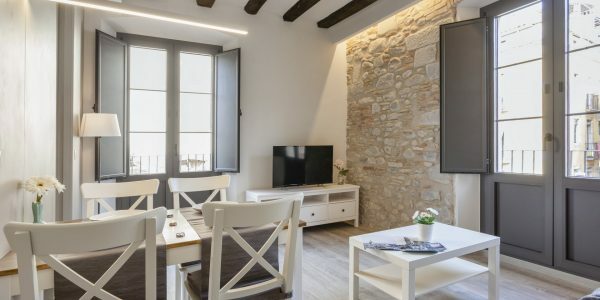 The living-dining room is on the ground floor, with direct access to the garden, complete with garden furniture, smart tv, and a three-seater sofa. 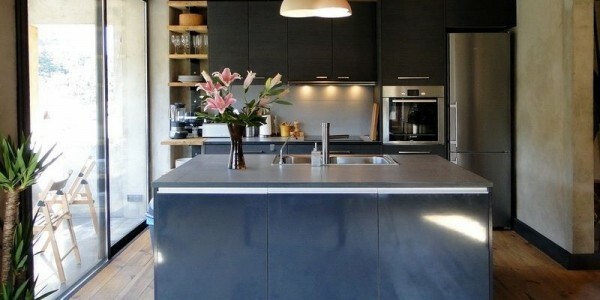 The kitchen is fully equipped, and also has a dishwasher. 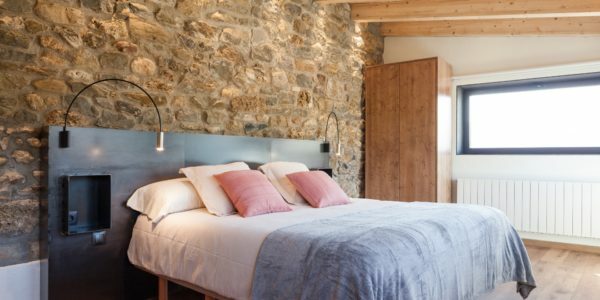 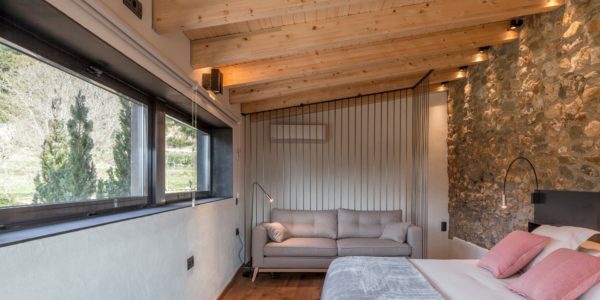 The upper floor houses a spacious but cosy double king size bed ( 180x190cm) with windows offering spectacular views of the valley, the swimming pool and the woodlands surrounding the farmhouse. 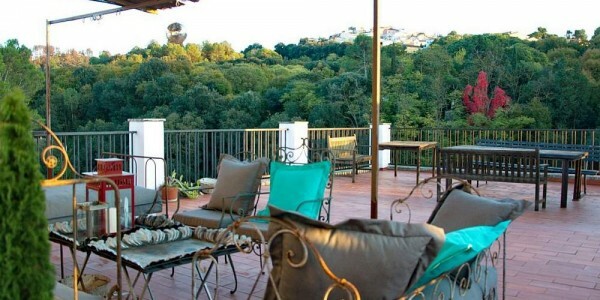 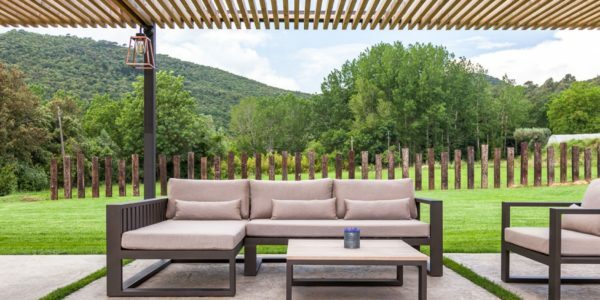 In the summer, the terrace offers a pleasantly shaded area. 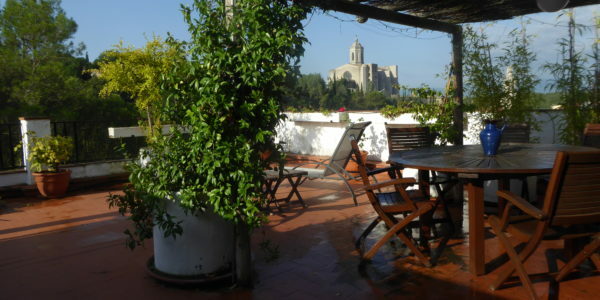 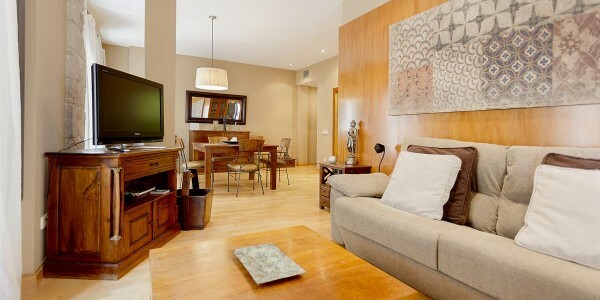 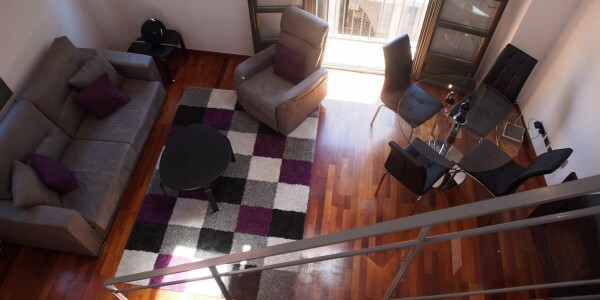 It is a duplex apartment, particularly spacious and airy. 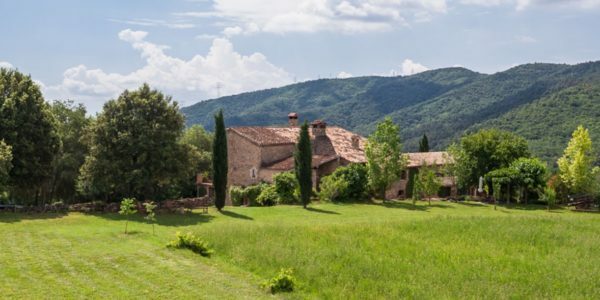 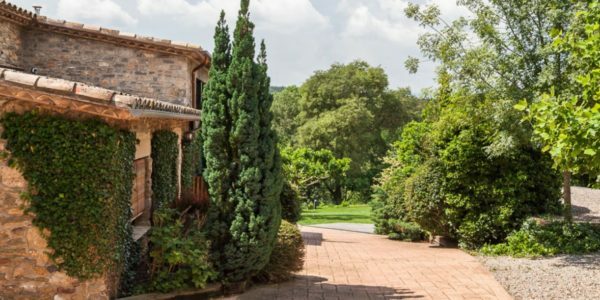 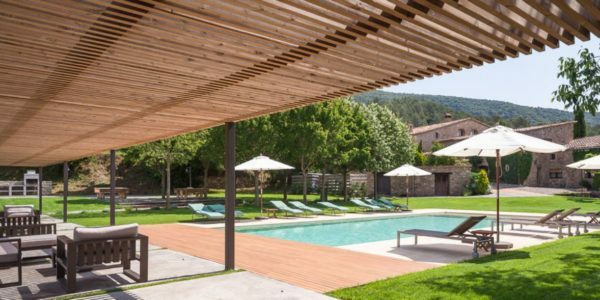 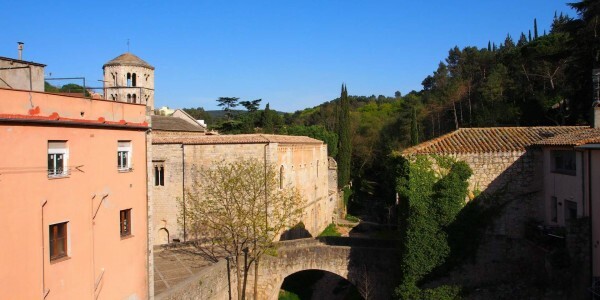 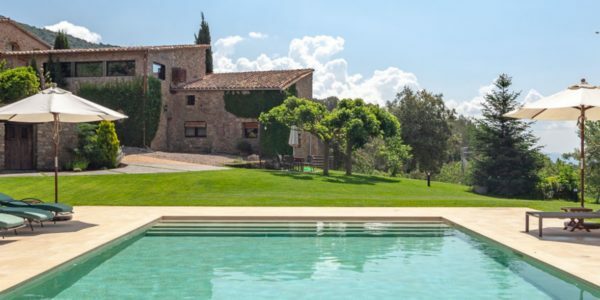 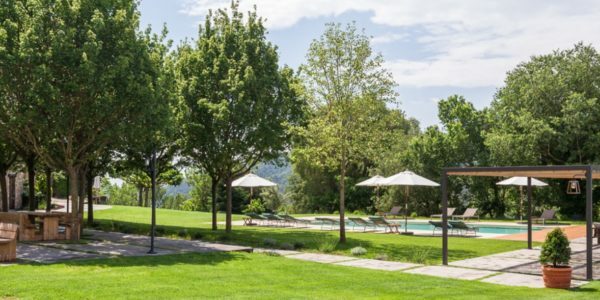 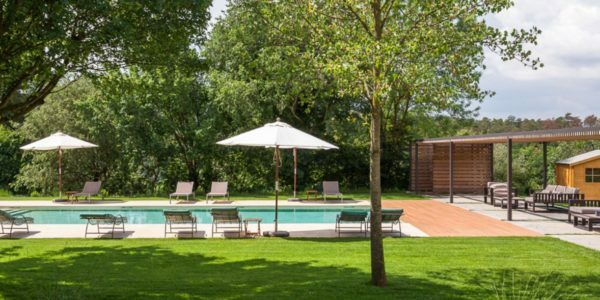 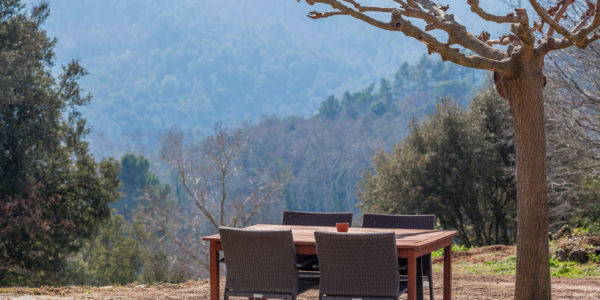 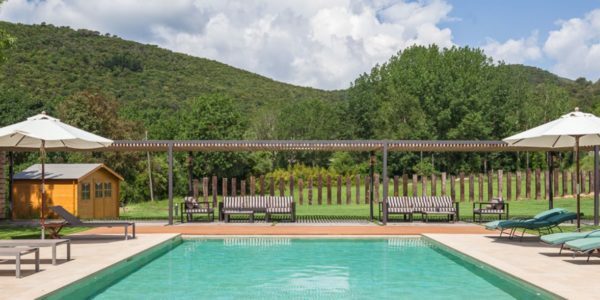 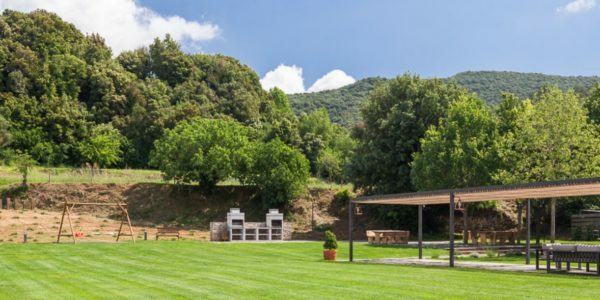 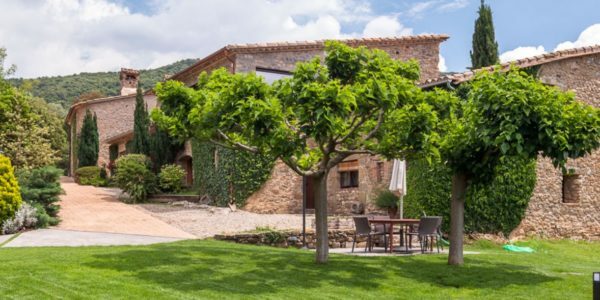 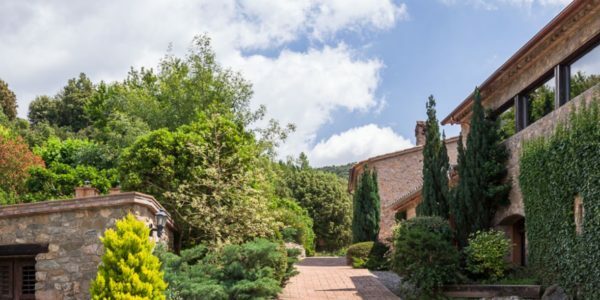 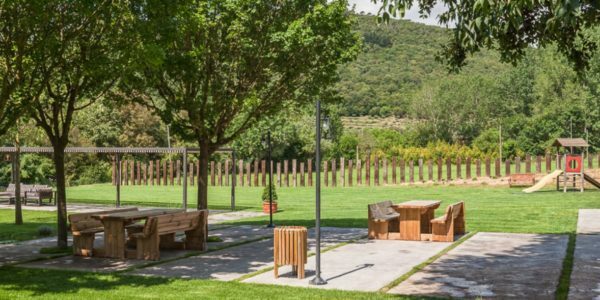 The Masia consists of 8 separate apartments and is perfect for big groups up to 28 guests for yoga retreats or cycling training camps. 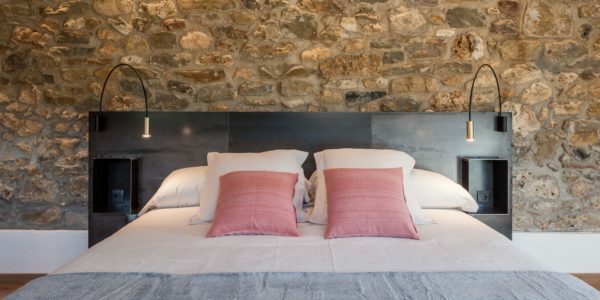 Bed linens and towels are included. 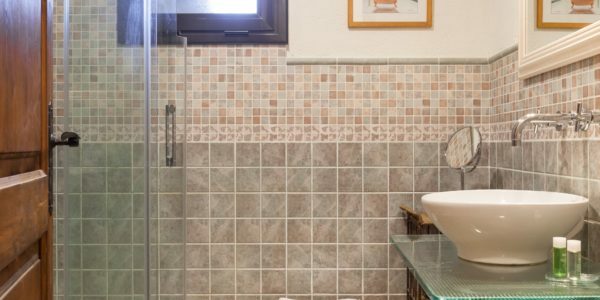 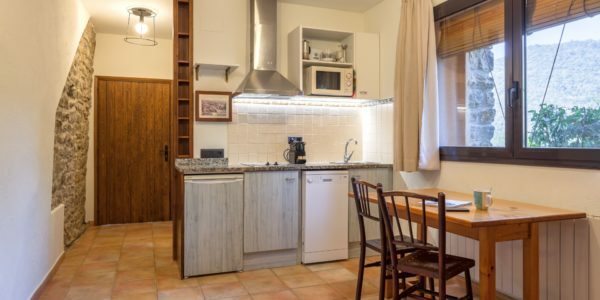 Each apartment has of a fully equipped kitchen, free Wi-Fi. 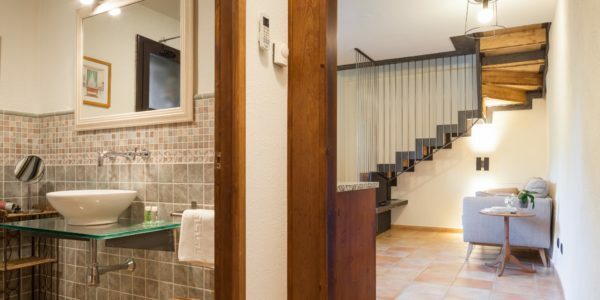 In the main house there is a big lounge, dining room, 2 chimneys, a restroom, playrooms and lots more to discover!